I can't move in my house due to my Xbox One's external drive being rammed with co-op games. 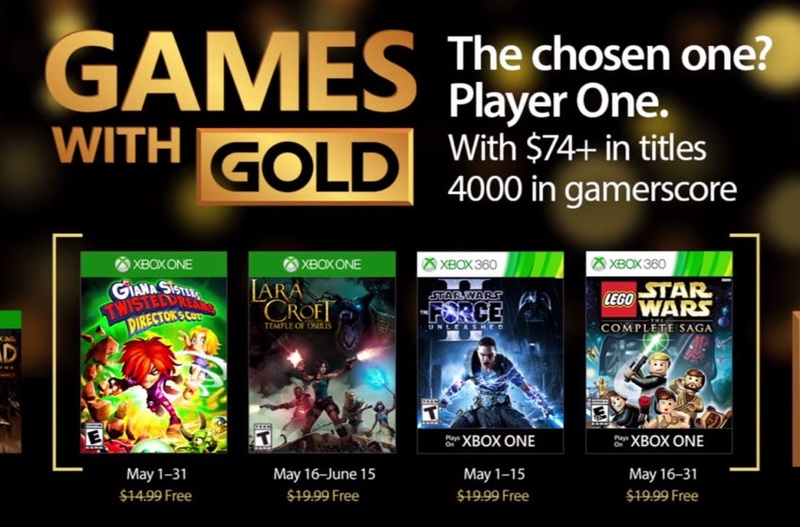 I'm not convinced that's how computer memory works, but I do know that Games with Gold May is offering another two co-op titles in the form of Lara Croft and the Temple of Osiris and LEGO Star Wars: The Complete Saga. Osiris is the Xbox One sequel to the fantastic Lara Croft and the Guardian of Light and whilst it may not quite live up to the first game, the sequel offers more in the form of 4 player online/offline co-op. There are issues with connecting to a online game if someone drops in or out as the game needs to redesign the stages, but grab a few reliable pals and you have a fun action platformer that has puzzles that may lead to arguments - the best type of co-op. This game becomes available on the 16th May, which is the same day that Xbox Gold members can also download the classic LEGO Star Wars. This version brings together all of the original six films into one game. Released back in 2007 it does feel a little clunky when compared to the more modern LEGO titles, but it was one of few LEGO titles that offered online, as well as offline, 2 player co-op. Alongside these two co-op titles are Giana Sisters: Twisted Dreams – Director’s Cut, a fun platformer that sees you split between dark and light worlds, and Star Wars: The Force Unleashed II, the sequel to a game you may just have downloaded recently. Page created in 0.4802 seconds.